Albeit a year full of changes and challenges, 2015 had been amazing for us. Major highlight last year was our 35th anniversary celebration where we had a year-long of celebration and ended with a Gala. Being recognised this year by SME100 as one of the Fast Moving companies is also the icing on the cake! This award further justifies the team's effort in striving to provide the best solution to the industry in leveraging technology to achieve greater business growth. IME is 35 years old! As an appreciation to our customers and partners, the ASEAN Economic Forum and Networking Gala themed “Partnering for Success” was organised early this year. All IMEzens are one big family, and we work as one team with one goal. The whole team including the sales, marketing, accounts, hr, admin, and technical came together in organising the programmes for this event to ensure that we bring the best experience and memories for the night. We are pleased to have organised the ASEAN Economic Forum and appreciate the support we received from the panelists: Datuk Phang Ah Tong, deputy CEO of Malaysian Investment Development Authority (MIDA), Mr. Jayant Menon, Lead Economist of Asian Development Bank (ADB), Dr. Yeah Kim Leng, Business School Dean of Malaysian University of Science and Technology (M.U.S.T) and VP of Malaysian Economic Association (MEA), and Mr. Ong Chee Tat from SME Association of Malaysia. Catch snippets of the event including key takeaways, photos and video HERE. Being awarded as one of the Top 100 Fast Moving Companies under SME100 Awards 2015 is definitely the icing on the cake for 2015. It serves as a great recognition for the hard work all of us had put in over the past years. SME100 Awards identify and recognise Asia’s fast moving small and medium enterprises with a focus on growth and resilience. Winning the award definitely encouraged all of us to strive to achieve greater heights next year. 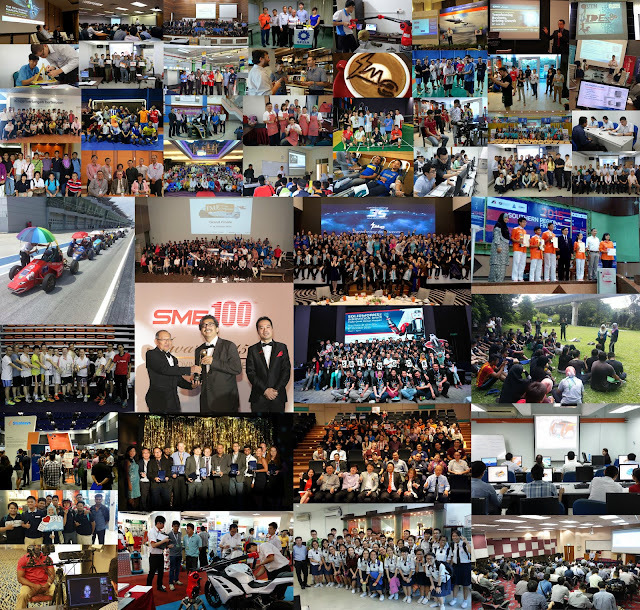 We were amazed by the number of lightbulb moments we had during IME’s SOLIDWORKS Innovation Day 2016 (SWID 2016)! We certainly hope that the participants are still having lightbulb moments, and remember the inspiration and ideas they had during the event. SWID last year was the first and largest SOLIDWORKS user community meetup across 7 locations in Malaysia - Penang, Selangor, Johor, Perak, Melaka, Kuantan and Sarawak. Throughout this month-long event, we received excellent feedback from most of the participants, that they truly enjoyed and loved what we’ve prepared and brought to them. We are also extremely excited that IME was awarded as Asia Pacific South Most Creative Innovation Day and Best Teamwork Award by Dassault Systèmes. Huge thanks goes to our awesome team and supporters for making this happen! Check out what happened HERE! 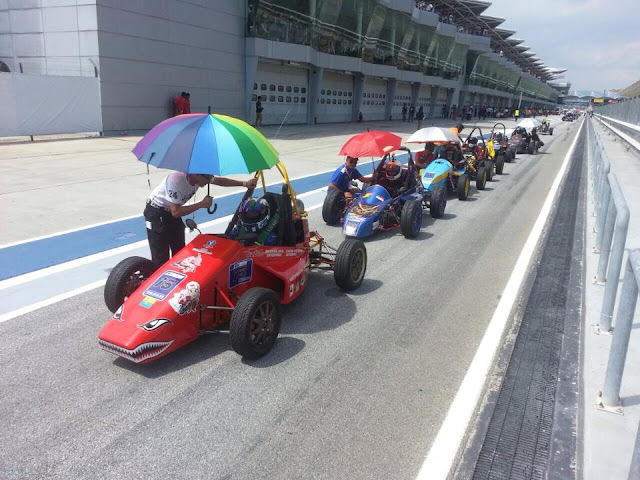 Being a company that has always been involved with academia institutions in bringing different learning experience to the engineers-to-be, we are proud of the students who participated in the FV race. Even just being a spectator at the race, we were hardly able to contain our excitement, let alone the students who were in the competition itself. We were not sure if it was the excitement and energy level of the students or the weather that boiled our blood and got our adrenaline running at full speed. All participants had done an amazing job in creating their race car from scratch. From draft, design, virtual simulations to manufacturing and finally on the race track! We are glad to have been able to support UTeM in organising this event to create a platform for real life learning in automotive design, giving students great opportunities to learn and experience what couldn’t have been taught in a classroom. Throughout the race, we were so impressed especially when we saw the teamwork among each group – how they worked together, created something from nothing and working hard towards their dreams. Keep it up, our future engineers. Click HERE to experience the event through photos. An IME branch has been setup in Kuching and last year we finally held the first event there. The purpose of 3D Experience Technology Day is to gather all key parties in the development and growth of the East Malaysia industry, to share and learn together the trending technologies and the importance of adopting these technologies in order to remain competitive in the market. Our heartiest appreciation goes to the Ministry of Industrial Development, our supporting partners CENTEXS, Swinburne University, IET, and each and every one of the participants - for the overwhelming response and warm welcome we’ve received. Details and key takeaways of the event can be found HERE. In short, 2015 was not easy but we made it, hard work and commitment always prevails. We are very excited for what’s coming up next, and hope you'll be a part of it too! Oh yeah, don’t forget to check out our Website and Facebook Page for the latest updates. Feel free to drop us an email at marketing@cadcam.com.my for any enquiries or suggestions, we would love to hear from you. Cheers!